¡Encuentra toda la información sobre nuestro humidor para cannabis Vertocal! 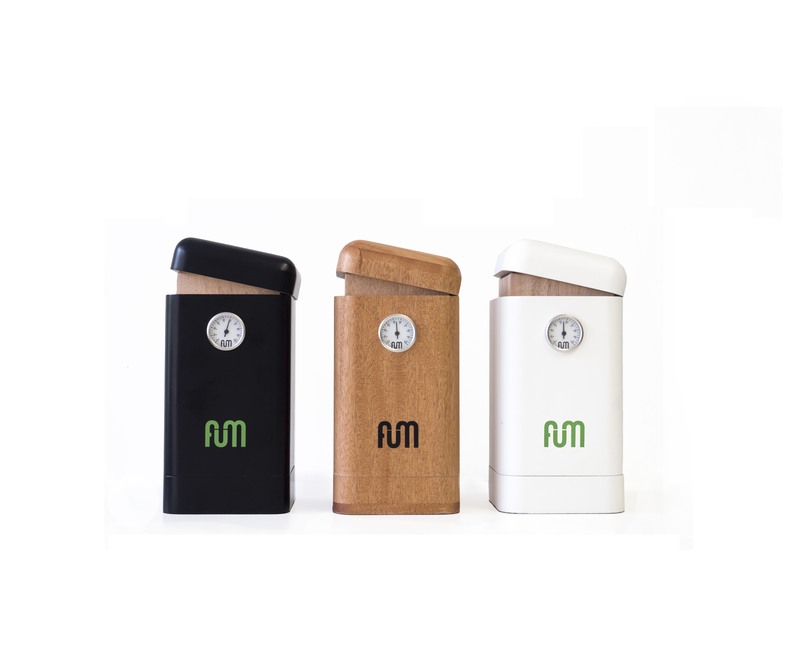 Vertical para conservar y curar tu marihuana.An innovative, creative and functional paraphernalia specially designed for cannabis storage and maintenance. Our products reflect who we are. Designed in Barcelona, our home city, patented and tested by sector specialists. Fum®, keep the green. It is an Okume desktop humidor. Specially designed for cure and store cannabis. Includes Analog hygrometer and plastic humidifier for humidity control and regulation are included. Also a net of 135 microns for the correct circulation of air and humidity, and an acrylic piece for polen keeping. Calibrated analog hygrometer for internal humidor relative humidity control. Solid Okume tray for 50/60 green gr. storage. Wooden mobile separators are included; they allow the storage of different green varieties. Acrylic tray that collects the mature glands filtered by the polinifier mesh. Easily removable by means of two textile handles.